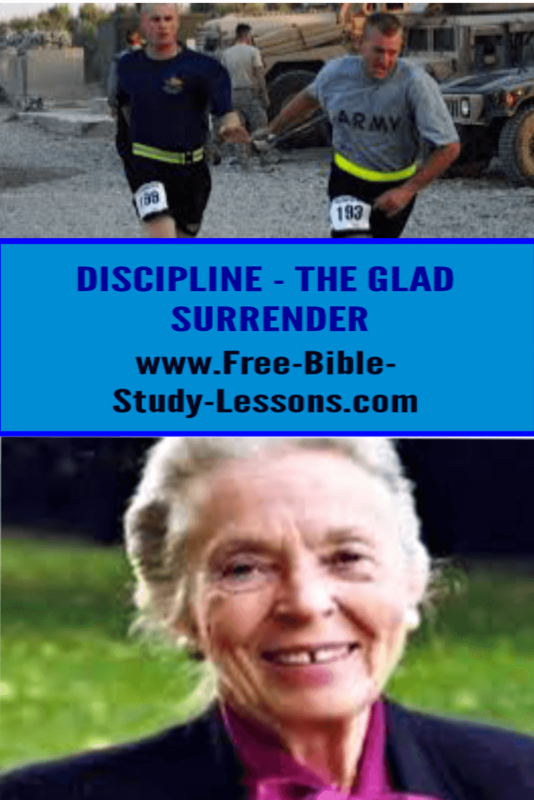 The quotes on this page were taken from Elizabeth Elliot's book: Discipline - The Glad Surrender. It is a challenging book and well worth reading in its entirety. Be sure to build your Christian life and your library with quality books of wisdom such as this one. My fulfillment as a human being depends on my answer, for it is a loving Lord who calls me through the worlds fog to His island of peace. We might say that Discipline is the disciple’s “Career”. It is the recognition, not of his solution to the problems or the supply of his needs, but of mastery. God addresses us. We are responsible - that is, we must make a response. Where there is no “moral gravity”- that is, no force that draws us to the center- there is spiritual weightlessness. How could Paul be so sure that they were “called”? Why, by their obedience, of course. Certainty comes with obedience. It is only through action that the call of God is known. The first baby step of faith is followed by a daily walk of obedience, and it is as we continue with Him in His Word that we are assured that we were, in fact, called and have nothing to fear. The disciple is the one who has made a very simple decision. Jesus invites us to follow Him, and the disciple accepts the invitation. I do not say it is an easy decision. It is the great principle of the cross that he takes up- out of his own loss comes another’s gain, out of his discomfort another’s comfort. To be a Christian in New Testament terms is to be a disciple. Faith is the only thing required. The way to increase their faith was to get busy doing what they were supposed to do. It is a great relief when someone else is in charge. He knows what he is doing, and all you need to do is follow directions. Holiness, which in His kingdom equals joy. If deep in our hearts we suspect that God does not love us and cannot manage our affairs as well as we can, we certainly will not submit to His discipline. 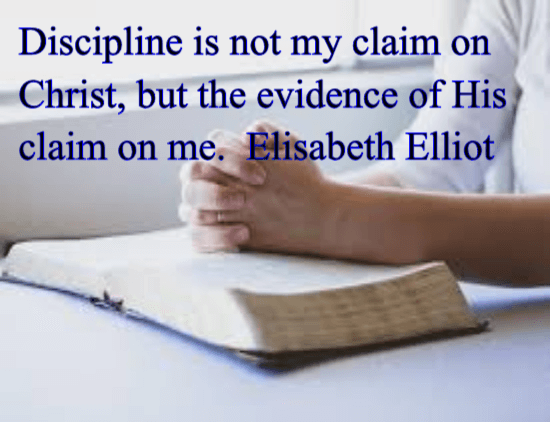 These references show how foolish it is to suppose that we can be a Christian without the trouble of discipleship or that you can “get to heaven” without bothering to be obedient. There are truths that cannot be known except by doing them. Finally, the prayers of Paul were also an essential element in the full working of God’s purpose, God having set up the world in such a way that prayer is necessary even to His own plans. The Bible does not explain everything necessary for our intellectual satisfaction, but it explains everything necessary for our obedience and hence for God’s satisfaction. Holiness has never been the driving force of the majority. It is, however, mandatory for anyone who wants to enter the Kingdom. More spiritual failure is due, I believe, to this cause than any other: the failure to recognize this living body as having anything to do with worship or holy sacrifice. We cannot give our hearts to God and keep our bodies for ourselves. Physical restraint is basic to power. 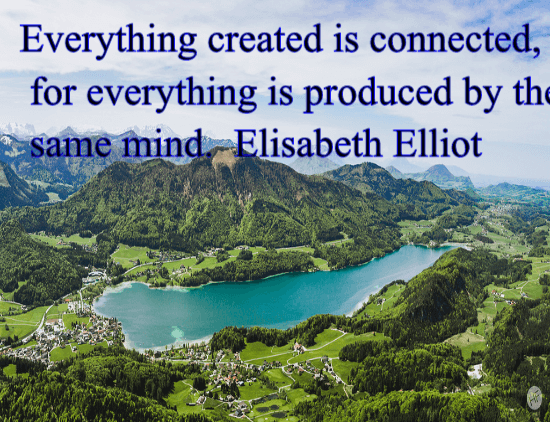 Imagination is a power given to us surely in order to enable us to enter into another’s experience. There is a common belief that a frank expression of what one naturally feels and thinks is always a good thing because it is “honest”. This is not true. If the feelings and thoughts are wrong in themselves, how can expressing them verbally add up to something good? Submission to the authority of Christ brings authority over self. Rejection of authority reduces everything that matters of taste. Where there is no absolute, there is only fashion. Maturity is the ability to carry the unanswered question in faith, holding to the Word by which we live. Honor is given. It is not taken. To cause others to wait for you, my parents taught us, is to steal from them one of their most precious commodities. Time is a creature- a created thing- and a gift. There will be time, depend on it, for everything that God wants us to do. For the Christian, time is transfigured as we see it held in the love of God, created by and for Jesus Christ, to whom belongs the primacy over all created things and who existed before everything and holds everything together. “My times are in thy hand…” has become a part of life. There is always enough time for the will of God. When we find ourselves frantic and frustrated, harried and harassed and “hassled,” it is a sign that we are running on our own schedule and not God’s. Frustration is not the will of God. One thing that most certainly not fit into it is worry. Often we neglect the thing assigned for the moment because we are preoccupied with something that is not our business just now. People wish they had more leisure time. The problem is not too little of it, but too much of it poorly spent. The first lesson is that things are given by God. We can absolutely count on it that He will give us everything in the world that is good for us, that is, everything that can possibly help us be and do what He wants. The second thing is that things are given us to be received with thanksgiving. It implies contentment with what is given, not complaint about what is not given. The third lesson is that things can be material for sacrifice. There should be no reluctance, no sense of compulsion; God loves a cheerful giver. It is said that Hudson Taylor, founder of the China Inland Mission, once a year sorted through everything that he owned. Things he had not used for a year were given away. This lesson leads naturally to the fourth, which is that things are given to us to enjoy for a while. The heart that is reluctant to receive joyfully all of God’s good gifts is also reluctant to part with any of them. The seen proceeds from the unseen. “Must I give a tenth of the gross or a tenth of after-tax income?” If you find it hard to do either, it is not likely that God is yet inviting you to forsake all to follow Him. Christian work is any kind of work, from cleaning a sewer to preaching a sermon, that is done by a Christian and offered to God. What constitutes a “great work for God”? Where does it begin? Always in humility. It is the one for whom a job is done who gives it its meaning. Feelings, like thoughts, must be brought into captivity. No one whose first concern is feeling good can be a disciple. Do not wait for desire before preforming a virtuous deed, since reason and understanding are sufficient. It is clear in Daniel’s story that understanding is not cheap and that answers to prayer must be processed, often over a long period of time, requiring steadfast endurance. Obedience to God is always possible. We will know Him by obedience, not by emotions. Do not try to fortify yourself against emotions. Recognize them; name them. The discipline of emotions is the training of responses.